SKU: ZM60969. Categories: Sports & Recreation, Fencing. Tags: fencing, tactics, techniques, training, young athletes. 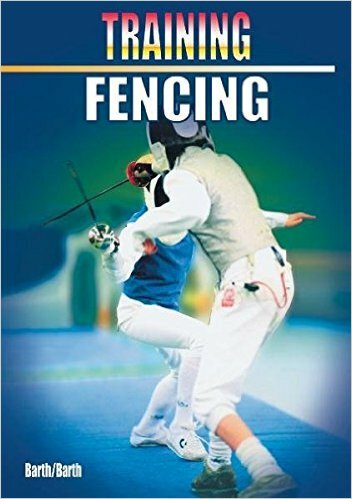 Building on the book Learning Fencing, this book, Training Fencing explains how to train for the techniques and tactics in the sport of fencing and shows why fencers must improve their endurance, strength, and speed. Young fencers learn to go beyond practice bouts and enrich their training with exercises that may seem to have nothing at all to do with fencing. They discover how important it is to warm up before training and competitions and learn why an athlete gets stiff muscles. The book also includes suggestions about what young athletes can do on their own to improve their skills and to monitor in addition to evaluate their progress. With the help of Training Fencing, young fencers learn to manage their own development and to take responsibility for their own behavior. Professor Dr. Berndt Barth was born in 1941. He has taught training methodology at university level for many years and is the author of numerous articles and books about fencing. He was the Secretary General of the German Fencing Federation and has chaired that Association’s Committee on Education and Training Methodology since 1990. Katrin Barth is a certified teacher with many years of professional experience. She is also the editor of the successful sports book series for children, Learning…, Training…. Training Fencing is recommended by the German Fencing Federation.